Conversion rate optimization is the process by which a business or organization increases leads and sales on their website from the site traffic they’re already getting by offering visitors a reason to stay and engage. In other words, it’s the ways and means of decreasing the number of visitors who come to your website and leave it without reaching your site’s goals — i.e., without becoming customers. Because it deals in metrics, testing and analytics, CRO can seem daunting, and while experts in the process can certainly work a greater magic than your average small business owner or freelancer, there are still plenty of tricks of the trade that almost anyone can do. Here are some simple ways you can increase your website’s Conversion Rate Optimization (CRO). Optimizing conversion rates is every bit as much about website design as it is about content. Form fields, while they might provide you and your business with valuable data, do not make customers more likely to do business with you. People want a simple exchange that makes sense and doesn’t require too much of them. To that end: Get rid of all unnecessary form fields. Which ones are unnecessary? Well, you probably don’t really need the name of their company, the county they live in, an alternate email address and phone number or anything else that just builds your customer demographic profile. Imaginary Landscape ran a study to determine whether or not fewer fields could increase conversion rates. When they reduced the form fields from 11 to four, they increased their conversion rate by 160 percent. How much does your call-to-action button want to get pushed? Studies have shown that red CTA buttons are more likely to be clicked on, but simply having a CTA button that is a contrasting color with the rest of your page will lead to more conversions. Location also matters. If you place your CTA button above the fold, you’ll get more conversions than if your potential customers have to scroll down the page to find it. When potential customers feel a sense of urgency surrounding a deal or product, conversion rates go up. To that end, you need to pinch time in a way that your potential customers really feel it. Whether it’s an offer that’s about to expire or a free one-day delivery for making a purchase, when people have a good reason to do something now, they’re much more likely to do it. People love free stuff, and if you want to increase your conversion rate, giving something away is likely to do it. While the freebie should definitely be relevant to your business or the purchase being made, it doesn’t have to be much. Whether information, swag or a complementary and lesser-priced item, advertising that something free comes with a purchase will increase your sales. Do you have some customers who have let you know how completely in love with your product or service they are? Post their testimonials on your website and on your call-to-action pages. People want to believe that the purchase they are about to make is a good one, and hearing a glowing review from a user — not a salesperson — holds a lot more weight with a potential customer. Stock photos do have a time and a place, but because they lack the specificity related to you and your business, they can lack the authenticity necessary to make a potential buyer feel like she can trust you. Stop using stock photos of other people’s workers and workplaces. Hire an excellent local photographer to take photos of you, your staff, the work that goes on at your place or business and the products or services you sell. Let these photos — not the generic ones off someone else’s website — tell the story of who you are. 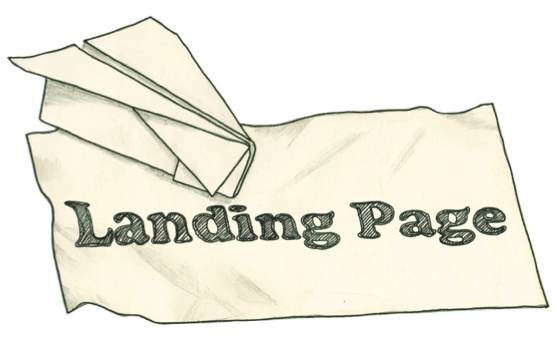 When someone finds his way to you via a search engine, that landing page is the first — and possibly last — chance you have to convert that visitor into a lead or a customer. Therefore, your landing pages have to be fully optimized to not just provide the information potential customers are looking for, but they also need to engage each visitor in order to bring them to your call-to-action. From a stellar headline and proof points to a clear and easy way for each visitor to act, your landing page needs to be able to accomplish the entire job of educating and selling. Getting more traffic to your website is every business owner’s dream, but getting the traffic you already have to convert into actual business is ideal. Because working to improve your conversion rate optimization, while it takes some effort and know-how, will add to your bottom line faster than increasing traffic, it’s definitely a basket worth putting plenty of your eggs in.